What is the Oppo Find X? 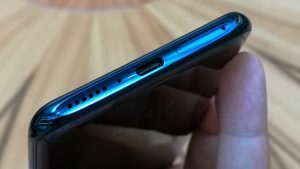 How far would you be willing to go to avoid the notch? For some, a notched smartphone screen is as inconsequential as which side the SIM tray sits. 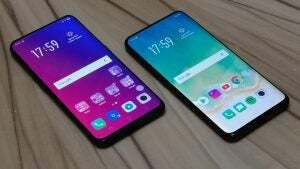 For others, as in the case of the Oppo Find X, erasing the notch has become a feat of design and engineering like never before. Alongside the similarly styled Vivo Nex S, which arrived around the same time as the Find X, Oppo’s new top-tier smartphone is a head-turner for a couple of reasons. First, the company has managed to eradicate the notch and bless this phone with a near bezel-free display that almost completely dominates the front of the Find X. Second, it’s created a seemingly novel but impressively robust engineering solution to retain all of the hardware you’d expect to find on a flagship smartphone, without being able to see most of it when it isn’t in use. Without looking at the Find X, the rundown of materials and processes at play appear to be like any other 2018 flagship phone. There’s a curved glass front and back, with a metal frame sandwiched between, inlaid with metal hardware controls. Handle the phone and you’ll see that Oppo’s execution of these complicated processes is unlike anything we’ve ever seen from the company before. The rounded glass on either side meets at a tight radius, where a sliver of colour-matched metal frame runs down either side of the phone. There are independent volume buttons on the left, and a power key on the right. Thanks to that rounded rear, the Oppo Find X sits comfortably in the hand. Although, those thin edges don’t instil the greatest amount of confidence when you’re manipulating the phone between fingers and thumbs, so finding a decent third-party case should be a priority. In addition, bend tests from braver men than I have revealed that, structurally, the Find X’s internal frame is relatively flimsy. As such, don’t sit down with it in your back pocket, or you won’t have much smartphone left to use. Aside from the brand and model logo, the back of the Find X is devoid of almost any other discernible details, making for a minimalist look. 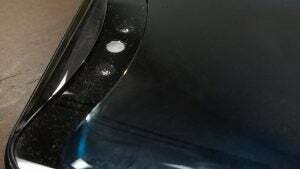 Instead, you’re presented with a long strip of pillowed glass with rounded edges and an eye-catching surface treatment that plays with the light as you hold it. The Glacier Blue or Bordeaux Red finishes both feature a gradient pattern that sees the colour fade away as your eye moves to the centre of the phone’s back. There’s an additional ‘multifaceted colour process’ at play, which gives this fringing an opalescence that’s wholly unique. It’s a finish you’ll spend a lot of time appreciating, tilting the phone against the light to catch sight of the effect. The only other element on the device’s rear that protrudes is a seam line that forms a ‘U’ shape along its top edge. 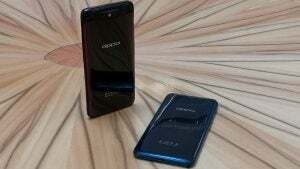 This is the Find X’s secret weapon – something Oppo has dubbed the phone’s ‘stealth 3D cameras’. When you launch an app that requires the cameras, the entire top face of the Find X rises up. The first few times you experience this, it feels pretty special. I haven’t seen such elaborate motorisation on a phone since Samsung automated the flip action on its P510 feature phone, back in 2004. The novelty offered up here is wholly appreciated in a market where design variation typically just falls to where the camera sits and the colour or finish of a device. The action is impressively fast (it raises in just 0.6 seconds, according to Oppo), which is great considering the Find X lacks a fingerprint sensor. Swipe up on the Find X’s lock-screen the camera pops up and scans your face using 3D face recognition technology similar to Apple’s TrueDepth sensor array. Consisting of an IR light emitter and receiver that throws out and registers 15,000 reference points (Apple’s sensor uses 30,000 points) projected onto your face, in real-world testing Oppo’s solution is, rather surprisingly, faster than Face ID. That said, whether or not it’s as secure as Apple’s alternative or a fingerprint is harder to test. It does at least work reliably in low light. Despite the ingenuity of the Find X’s pop-up top, its implementation has meant that Oppo has had to rethink the layout of the some of the phone’s hardware. 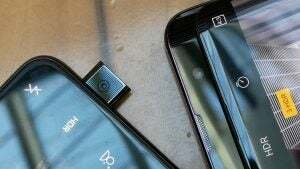 As such, a few features that have become commonplace on rival flagship phones have been sacrificed. Concealing the cameras has enabled Oppo to avoid any form of notch on the display itself. As such, key components such as the earpiece don’t actually sit in their conventional positions. Whilst call quality is fine, the sound fires upwards, out of the top of the phone. This means you’ll hear the person on the other end more clearly if you pivot the lower half of the Find X away from your face, but everyone in close proximity will be able to hear them too. Manufacturers such as Apple are shying away from moving parts (with the loss of the home button on the iPhone X), but the existence of such a mechanism on the Find X makes water- and dust-resistance basically impossible, so the phone doesn’t boast any form of IP certification. If you’re looking for the SIM tray, it can be found on the phone’s base. There’s no headphone jack to be found anywhere, but there is a USB-C adapter in the box. Rather than residing in the bezel of the display as it does on most phones, the brightness sensor (along with a secondary microphone) sits along the Find X’s top edge. In normal use, this is a perfectly acceptable placement. However, when gaming or enjoying media whilst holding the phone in landscape, you’re likely to accidentally cover it, causing the screen to suddenly drop in brightness – rather annoying, if you don’t realise the cause. Having the camera attached to this motorised piece of the bodywork also throws up concerns about reliability. Oppo says the mechanism has been tested to withstand over 300,000 actuations (compared to the Vivo Nex S’s 50,000), but it’s fair to assume these tests are based on lab conditions. Store the Find X in your bag or a pocket for just a day and you’ll notice all manner of dust and lint accumulating within the mechanism. Thankfully, trapped dust across the camera lenses doesn’t appear to impede their ability to capture stills or video. In addition, face unlock works just as quickly with a dirty pop-up segment compared to a clean one. Oppo has also integrated a safety mechanism so that if, for whatever reason, the camera is forced down, after a certain amount of give it will retract willingly. The post Oppo Find X appeared first on Trusted Reviews.